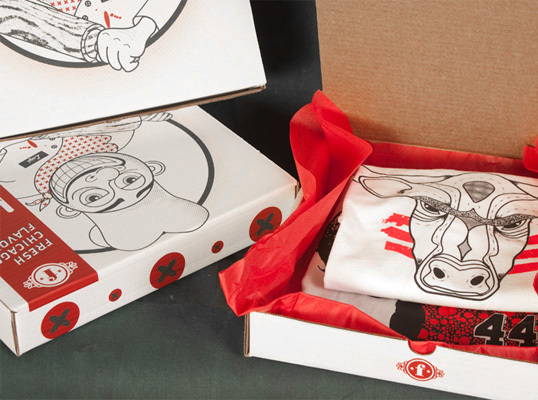 “The Fineprint Chicago wanted some innovative t-shirt packaging to display in retail locations and possibly use for shipping. Since the company designs mainly Chicago-inspired graphics, I decided to make a Chicago-style pizza box packaging. Since we could screen print on the flat box and then fold, it greatly reduced production costs without limiting the design. The piece can also be sent through the mail. 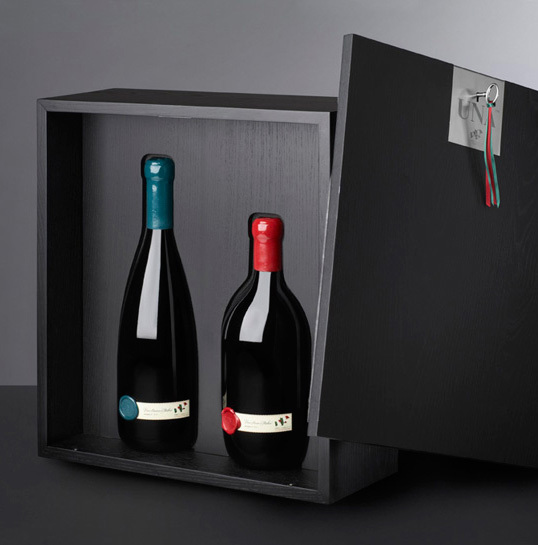 “UNA is the official wine of the 150th anniversary of the unification of Italy.